A pregnant woman and her husband recently made a trip to a zoo and visited the orangutans. 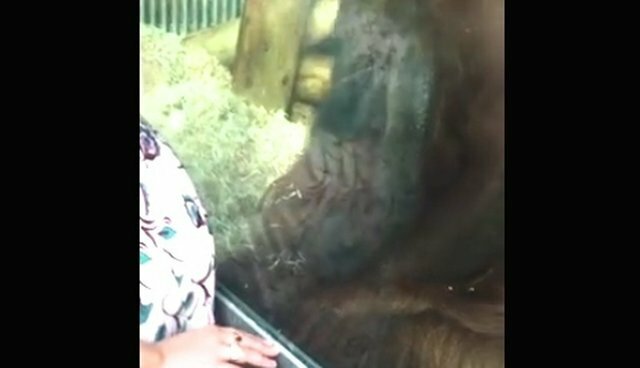 When the woman pressed her belly against the glass, a male orangutan immediately took notice. ... and kissed her pregnant belly. He continued to kiss and rub her belly as the crowd watched in awe. 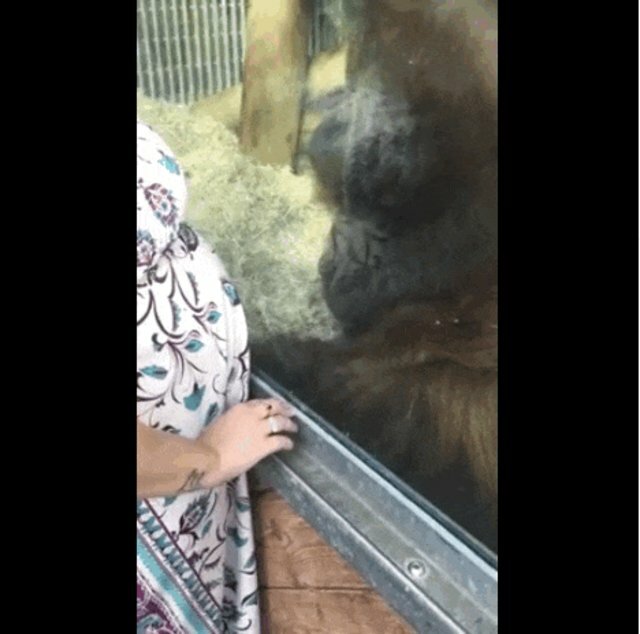 Clearly, this orangutan understood exactly what the woman's large belly meant, and was all too eager to show her that he understood. 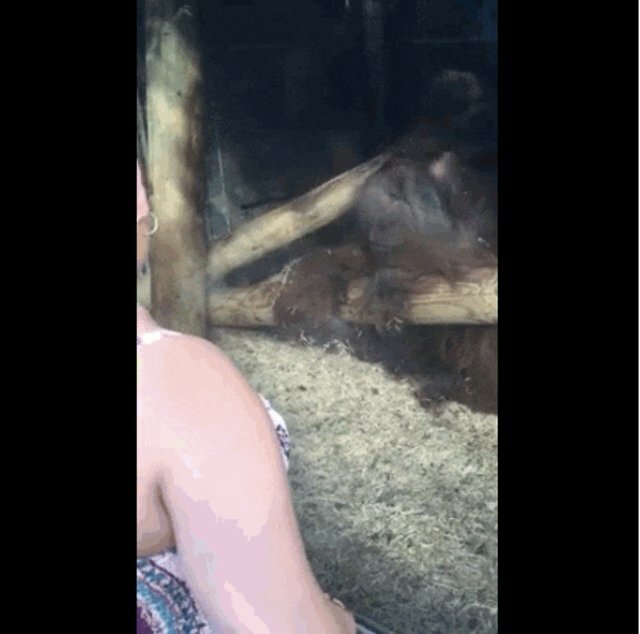 An orangutan kissing a pregnant woman's belly from behind glass has happened before, reiterating the amazing capacity for love and parental instincts that these animals have. While this display is absolutely adorable, it's also a little bit heartbreaking, as this majestic animal is behind glass rather than out in the wild, where he could display all that love so much more.